I’ve quite a few photos to share and I’ll start here. I know you’ll get upset at so many posts coming at once, so I’ll space them out with timers. 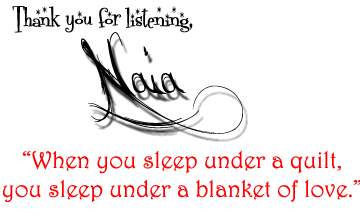 I do hope y’all are ok with that. Currently, there are 2,252 pictures in my picture folder and more on my camera card that I’ll have to get out tomorrow. Let’s start at the beginning, shall we? We’ll follow the path of this little life of mine to the end of the pictures and start fresh from there. Did I show you Caiden’s birthday present? 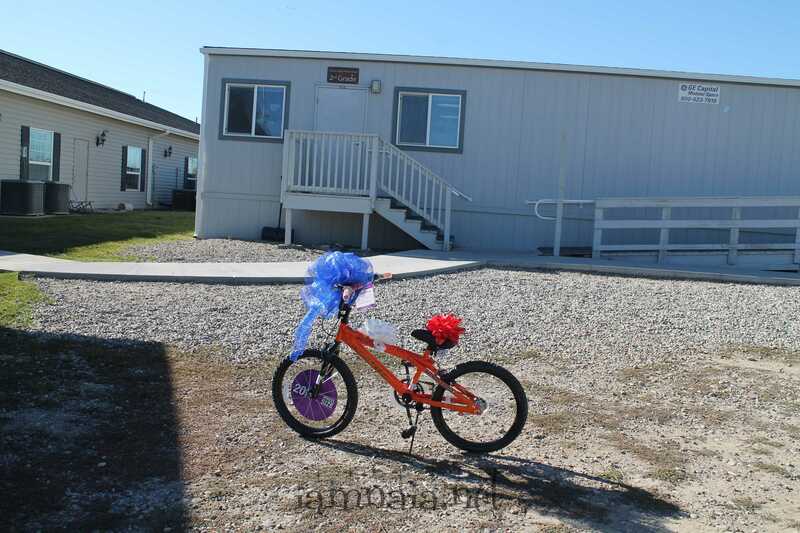 He turned 7 on October 24th and I had this outside his classroom at school right before he got out of school that day. 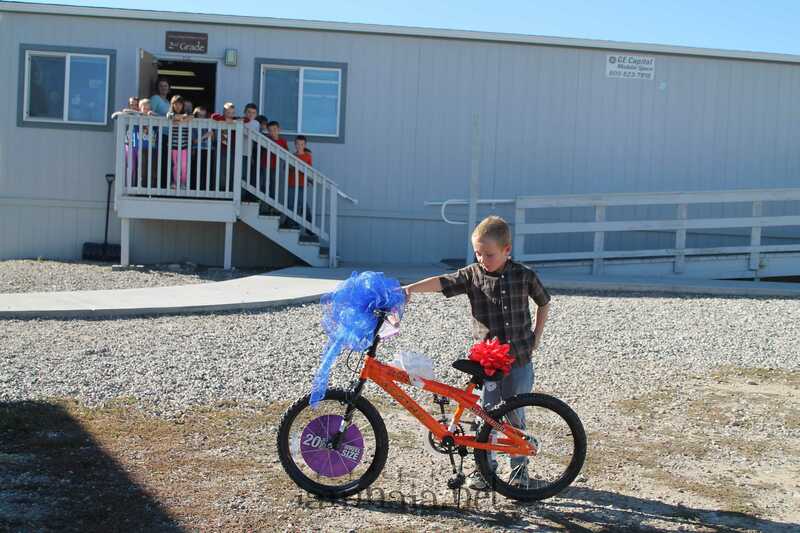 His teacher let him out of class a few minutes early and all his classmates got to see what he got for his birthday. Considering last year he got to fly a plane, the bike was a little anti-climatic. However, for so small a child, they don’t remember years before and you can change things up quite easily! 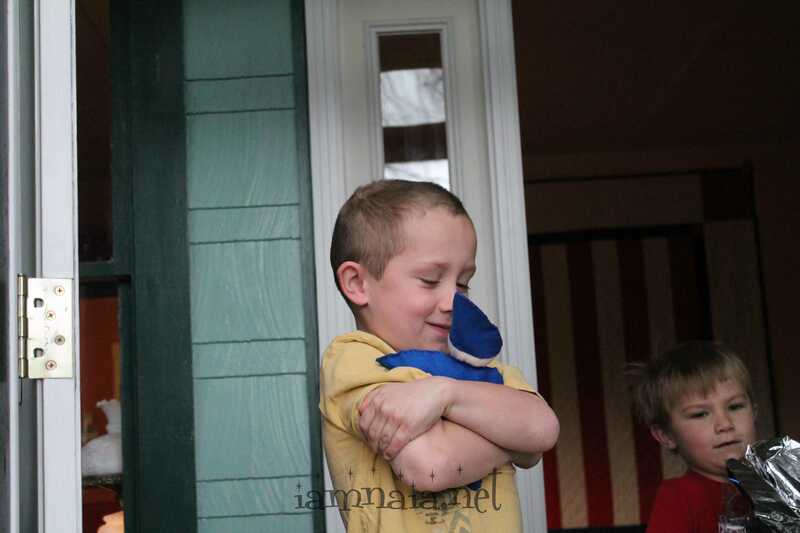 His entire class crowded out the door to see his present and he was beside himself. It took some prompting for him to understand that he was allowed to ride it at the school! 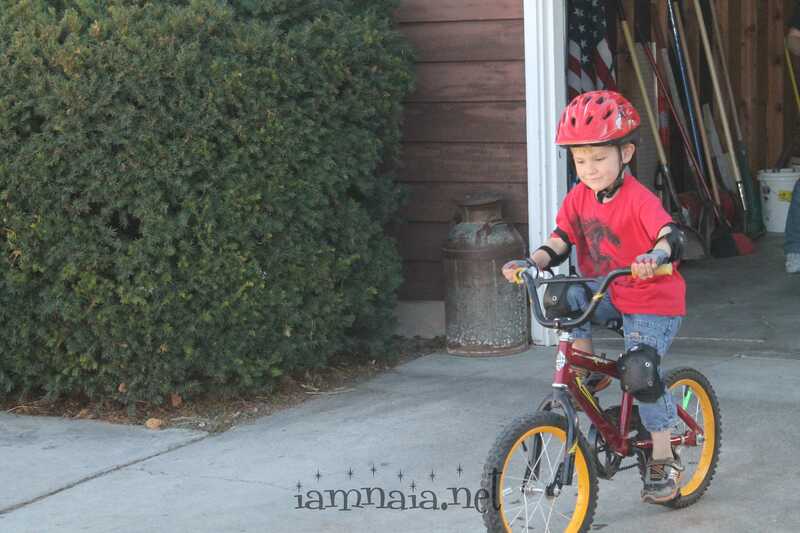 Caiden decided, since he had a “Big Boy Bike,” his 5-year old brother Brendan could have his baby bike and learn to ride without training wheels. Everything in me said to wait until Brendan was 6 but Brendan had better ideas. He learned it and did great on the first day. 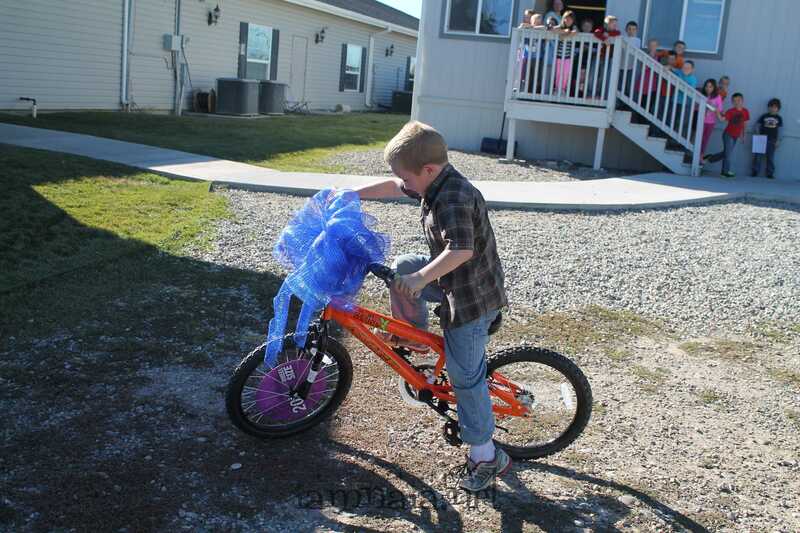 He was more than ready to shed the training wheels and I promised him, if he grows a few more inches, he can have a “Big Boy Bike” on his 6th birthday and not his 7th. We’ll see how the year goes! He’s got 5 more months to finish growing big enough. 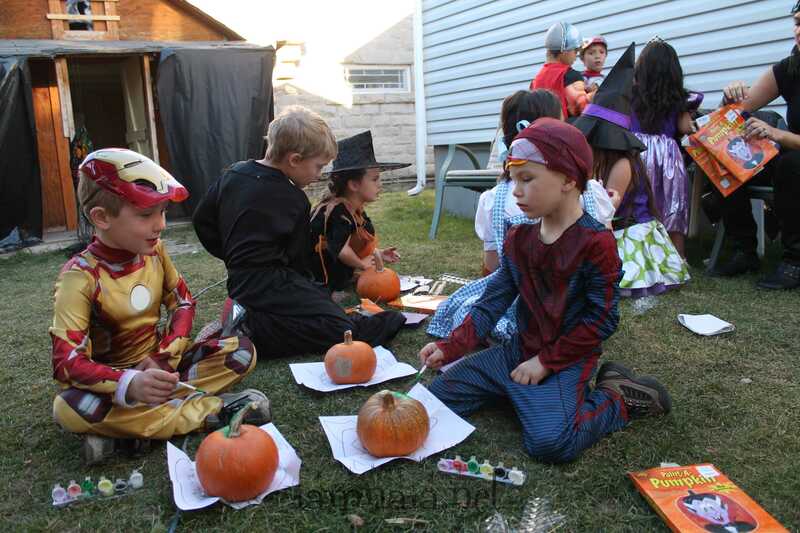 Painting pumpkins. They sat on a shelf on our front porch up until a few days before the Christmas Holidays. 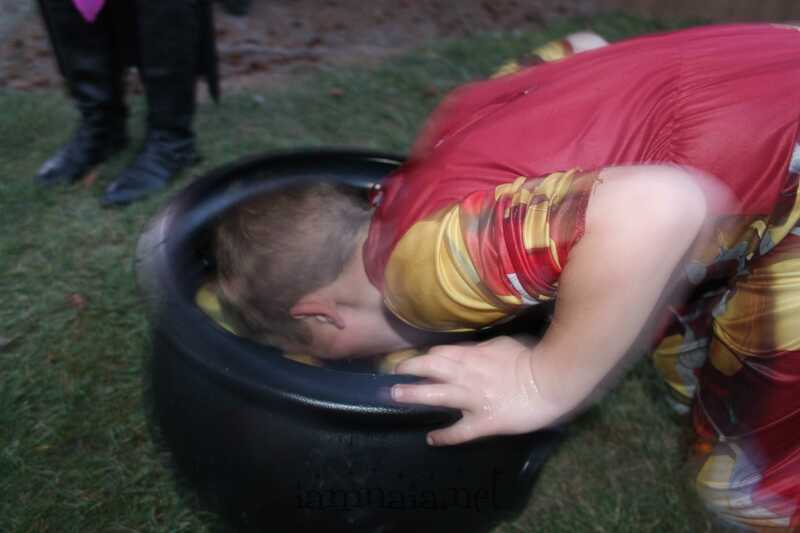 Brendan is bobbing for apples. Initially, I told Caiden he couldn’t, being as he is allergic to them. When I got there later, I let him go ahead and try for one with me supervising him for an hour or so after to make sure he was ok. Do you see Brendan’s tongue down there, trying to get the apple? It’s priceless! Great picture, Nanny! 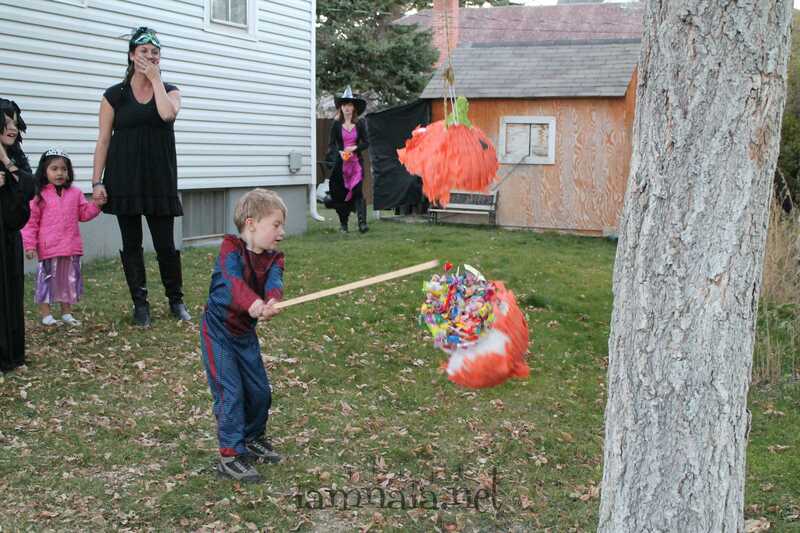 Brendan was the third or fourth child to try for the pinata and managed to beat it up pretty good. Unfortunately, I think his daddy needs to have a talk with him – we’re not supposed to swing a bat (or club) with our eyes closed! When I got there, Caiden tried for an apple and didn’t get one. The picture is not as good because it was getting dark and harder to get the camera to focus. He was fine. Mild touching of an apple doesn’t really do much. 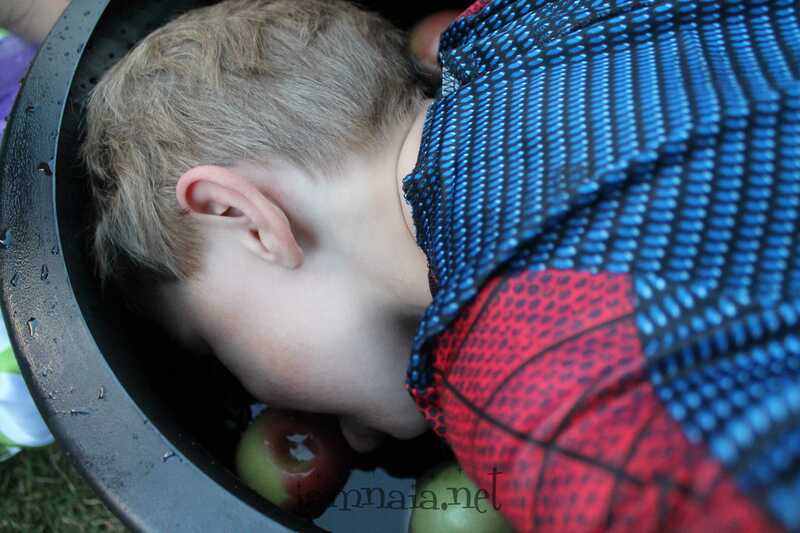 Wipe an apple on his face and you’re looking at dosing him with Benedryl! We found a set of cowboy boots for Brendan for $4 dollars or so and purchased them. He really likes them; he definitely takes after his mommy in the boot-wearing department. 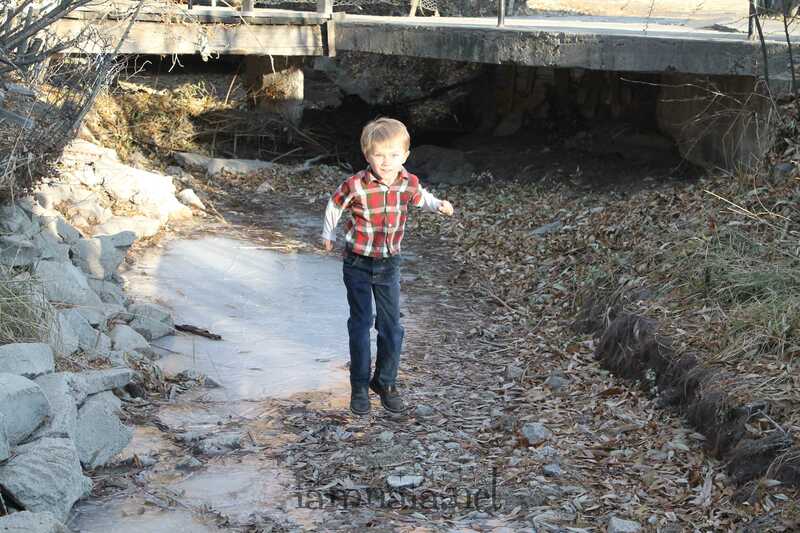 Here, he’s figuring out how to walk on ice in the culvert in front of our house with his new/used boots. 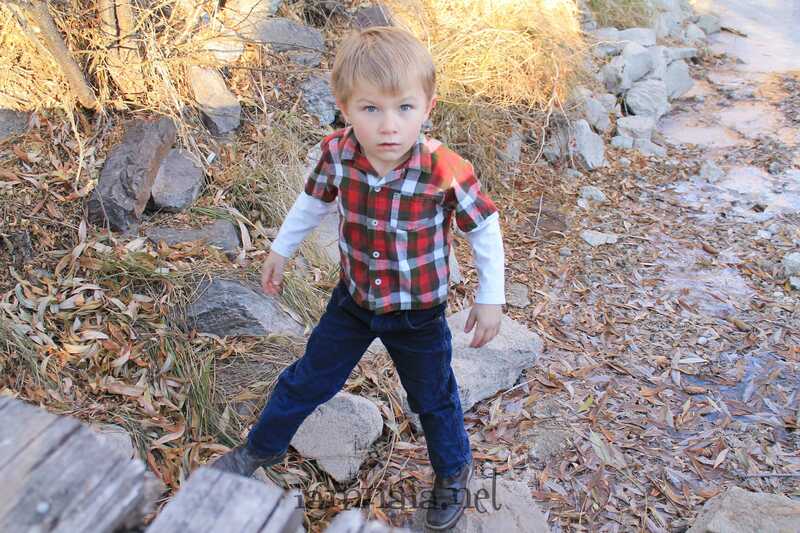 He was so cute this day, looking so very like a little cowboy. 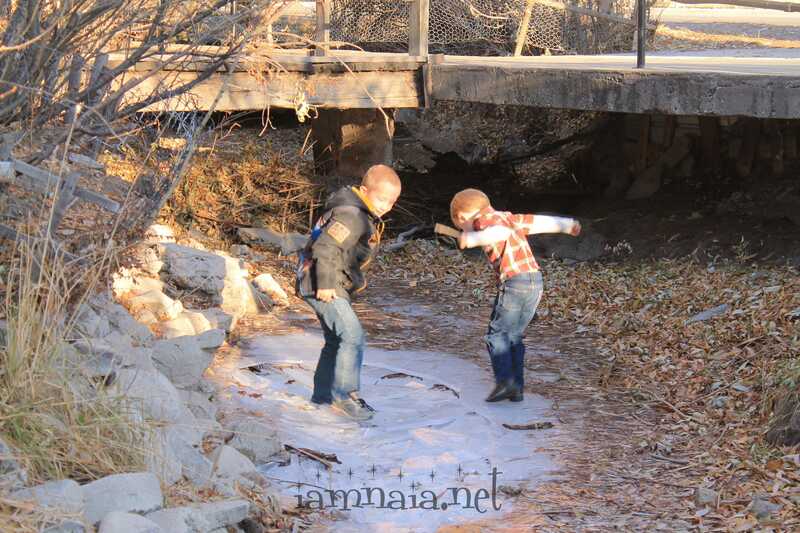 Of course, after he was off the slippery ice, he had fun jumping up and down in his boots. Now that is a handsome little boy. 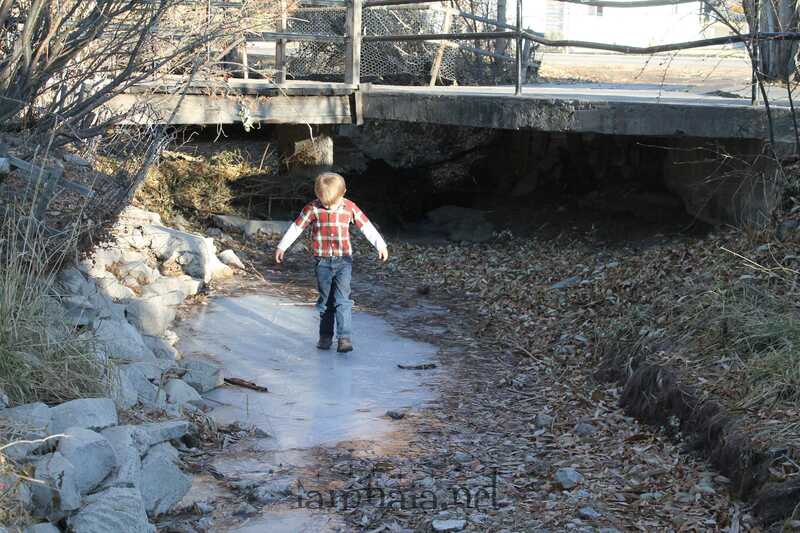 When Caiden got home, Brendan took him to the large ice spot to finally break that up. 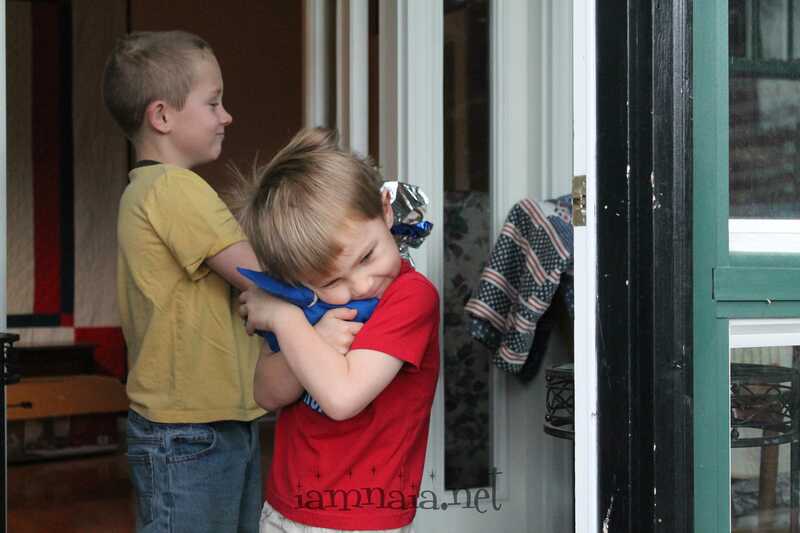 My two gorgeous little boys playing together. I had to have a talk with Caiden about how his brother is only 5 and much smaller than him. 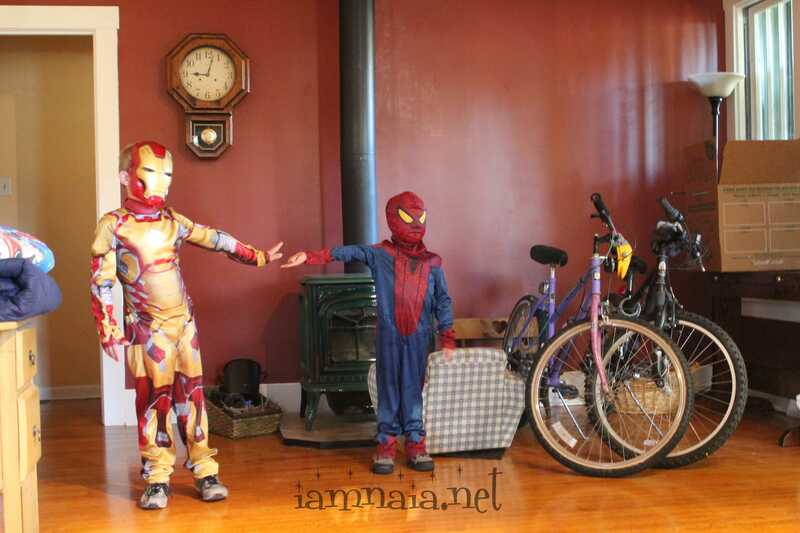 We discussed helping his brother when he falls or gets hurt. 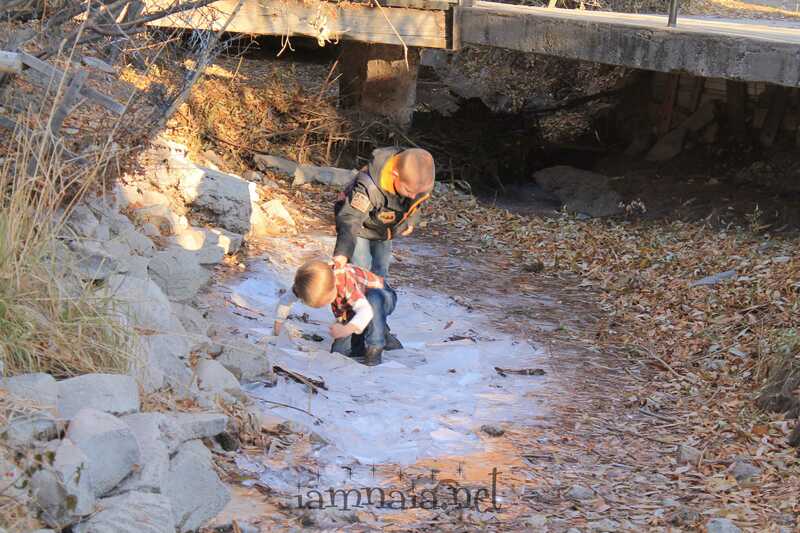 Here, you can see him trying to pick his brother up after falling by the back of his shirt. I guess the intent is there – right? 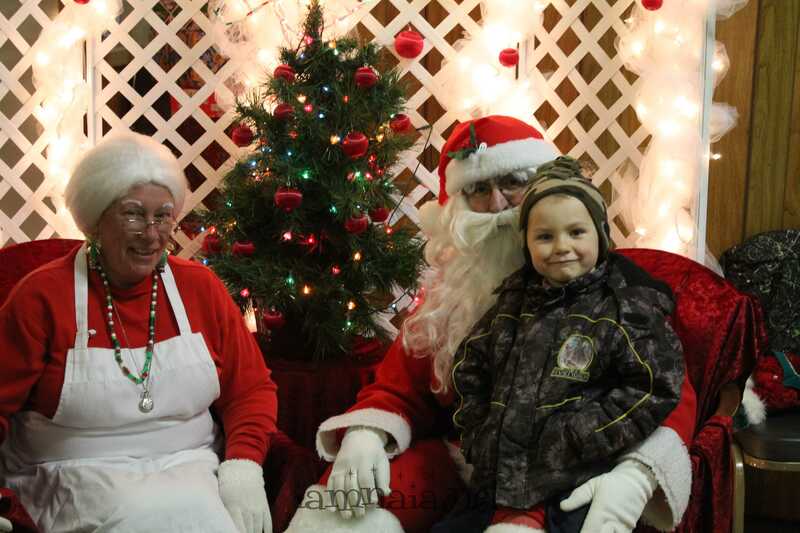 Our town had a “Santa Visit” at the local Elks Lodge. Of course, we went and tried to mingle with the locals. Being a small town, we figured it would be nice to start meeting people. 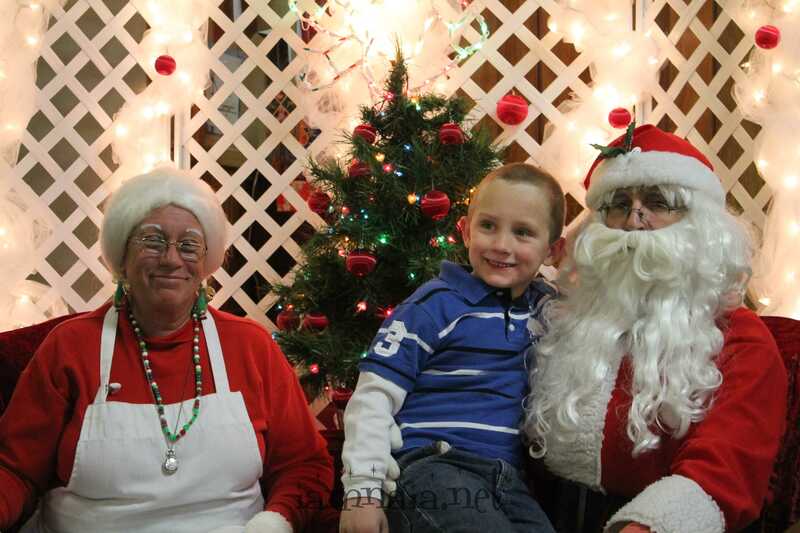 And, of course, Caiden was very excited about seeing Santa. I’m hoping his keeps his innocence and believes in Santa for a few more years. It is so much fun to play the “Santa” game with my children! I will be sad when we get to the day that they no longer believe and just “expect” presents from Mom and Dad. 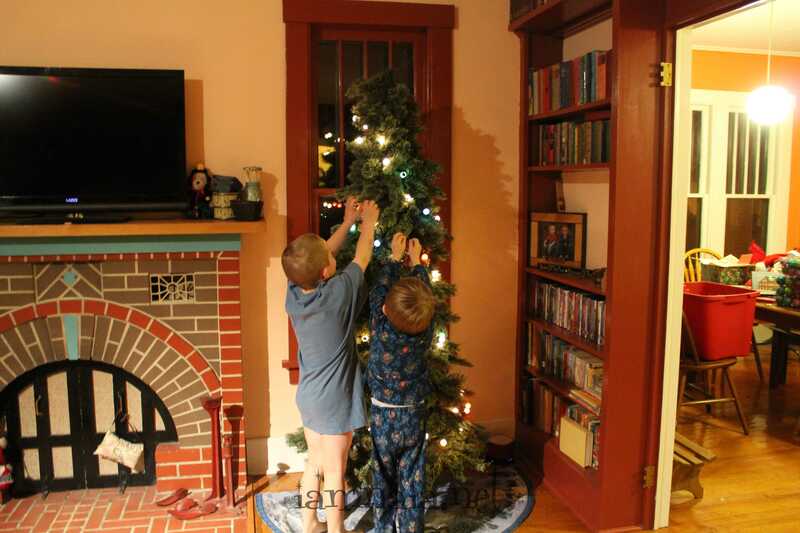 Setting up the Christmas tree over Thanksgiving weekend. During the weekend, the Star Child from last year returned. It warmed my heart that they were so excited to see him again. He arrived through the mail on the Sunday after Thanksgiving. It doesn’t matter that there’s no mail on Sundays – the boys believed and that meant everything. 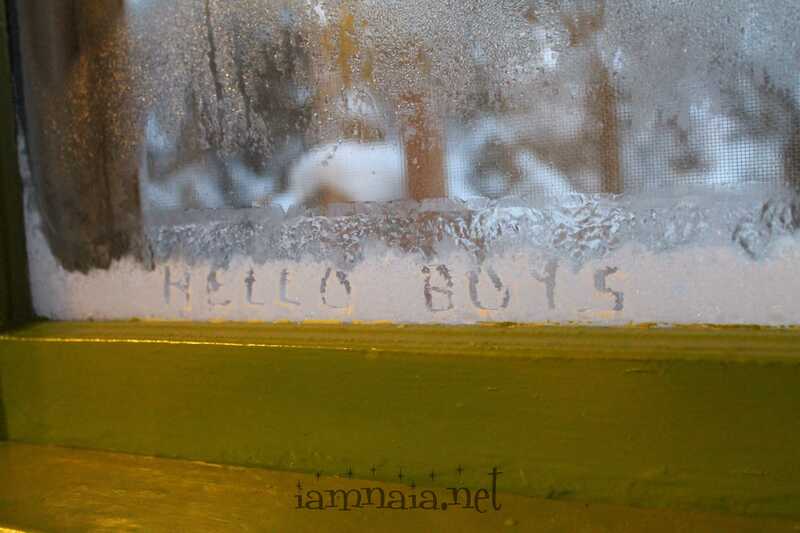 One super cold morning in Montana, it was negative 21 at 6 a.m., Jack Frost visited us and left a message in the frost on our windows for the boys. They looked every morning after that – for a week – to see if Jack would leave any other messages. It stayed that cold for several days (all day long) in our small town. It was COLD. It was at this point that I got a call my dad was in the hospital. He had appendicitis and was facing surgery. After waffling back and forth for an entire restless night, I asked Mark to come home from work 5 days early and drive me to my dad in Oklahoma. Mind you, this was during a serious ice storm/snowstorm that was ripping through the entire nation. It would be a very interesting drive to come. 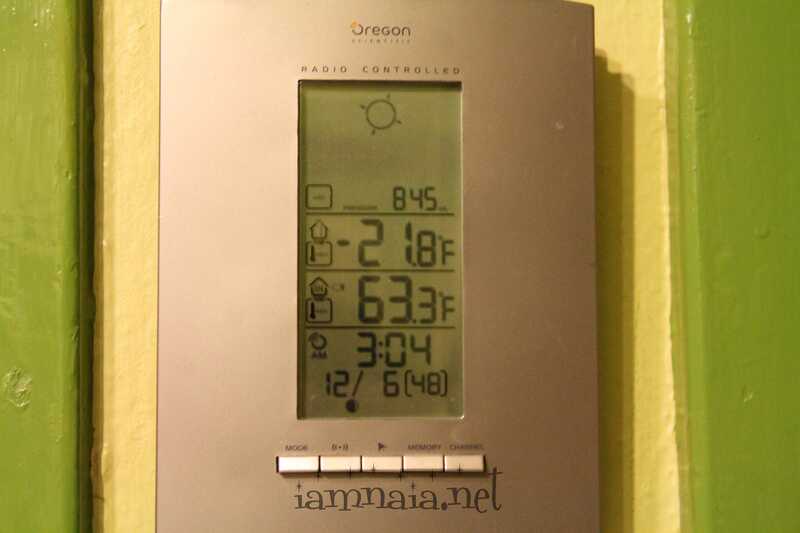 The above temperature picture was taken later that same night I got the call about my dad. I was wide awake and no sleep was coming. Seeing the temperatures, I wasn’t sure if a drive to Oklahoma was even possible. I knew I wasn’t going to be doing it.